During this project we've followed something I'd like to call the SOLAR sine wave. Everything is going perfect until something happens which will make you think "it's all over". The problem then get's solved and your on top of the world again. The launch campaign is no exception apparently. Yesterday the day started with us dismounting the experiment since we had to change the screws after the bumpy transportation to ESRANGE. That included taking apart the electronics box to see if the micro-SD stored the data as expected. 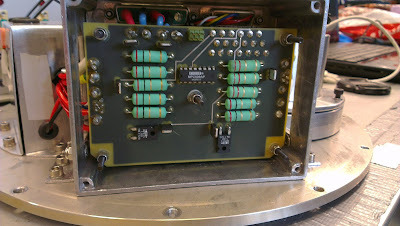 It did, all was well and dandy so we screwed back PCB's into the box. In the meantime we tested out our backup PCB's which had been soldered just last week. For some reason these cards wouldn't let us program the micro controller. We tested the lines on the board but they all seemed fine so we came to the conclusion that it must be the new CPU that is corrupt. Not to fear, we brought a spare and we spent an hour removing the old CPU and soldering on the new one. Of course that did not work either! Well at least we had our flight PCB's functioning, or did we? We switched back to the our old electronics that's been working fine since January but we could not communicate with it from our ground station. Now was the time to panic. After trying everything we took to an old trick, restart the computer. We launched the ground station again and there we go everything is working as expected. So what was the problem? It seems the com port we were using on the computer had somehow latched up when trying to program the backup PCB's. Because the compiler didn't get a response from the micro controller it never closed the port. This was later confirmed by reproducing the scenario. It was still the matter of the backup PCB's though. Why were we unable to program them? 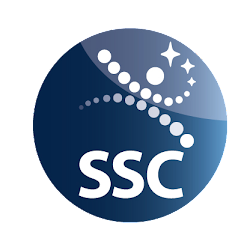 We had a lunch to think it over where the payload manager Mikael Inga suggested it might be a different component connected to the programming pins that's causing the problem. The only other component connected to the programming pins was the micro-SD card so we tried removing it worked. We then put the micro-SD back and tried programming again and what do you know that worked as well! The PCB's that caused all the problem. The PCB with the micro controller is underneath the one displayed. We're still not quite sure what caused this problem but it could be that some solder in the micro-SD bracket that got removed by taking the card out. So everything was working great until we once again got the problem that we didn't receive any data to the ground station. After error searching for about two hours we realized we had forgotten to turn the power on. 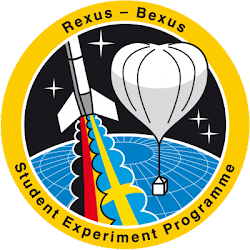 To brush of an old chestnut, "it's not rocket science"
Launch Campaign - Day 10, Launch of REXUS 13!